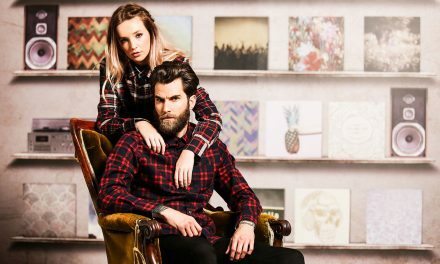 T-shirts are highly versatile garments that are easily elevated with a dash of ink, a length of thread or a piece of film into a highly covetable top. 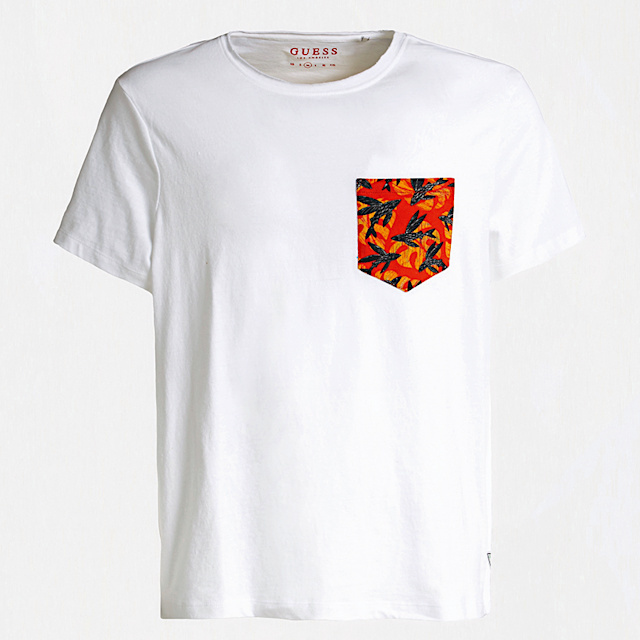 The Guess T-shirt with a red pocket is a fine example of how a simple design can transform a white tee. 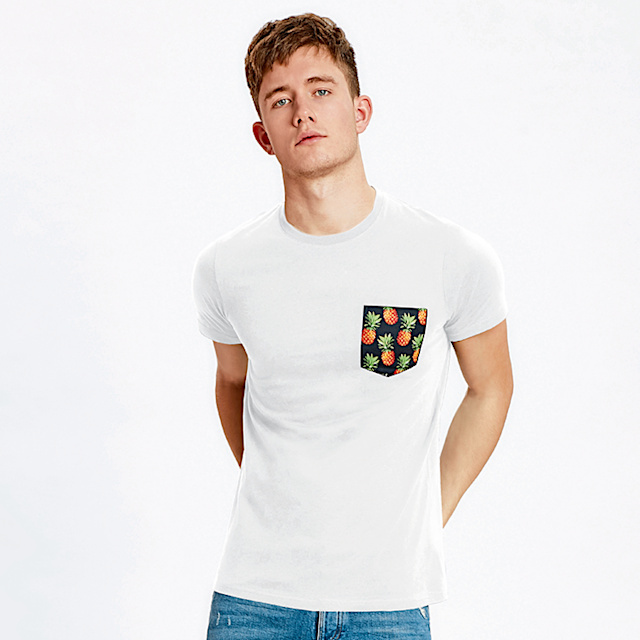 Vanilla, a brand of sublimation- ready tops, includes the Men‘s Subli Pocket Tee (VAN105). 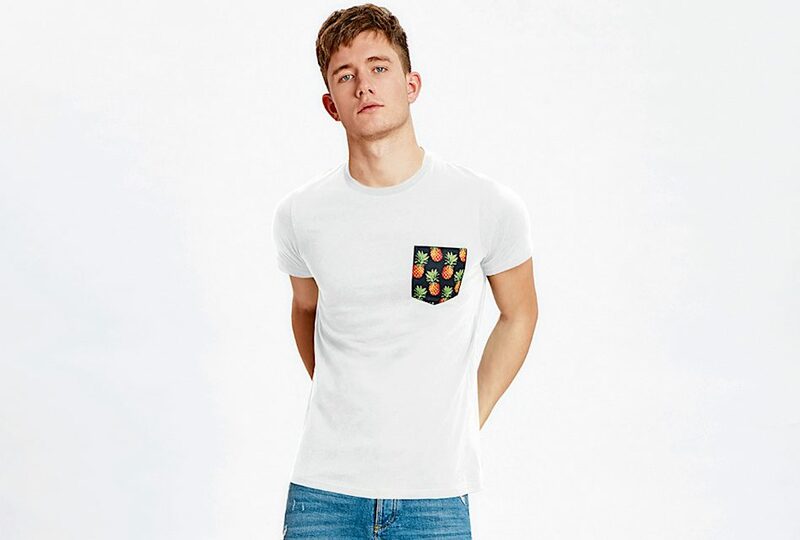 Made from 100% cotton, the T-shirt has a 100% polyester pocket and yoke that can be easily dye sublimated while leaving the main body of the T-shirt blank. 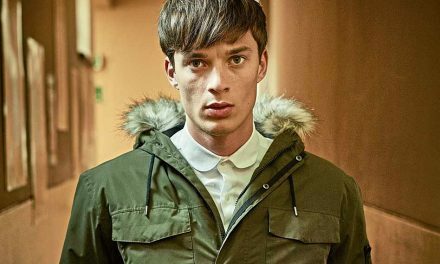 River Island has also gone for the subtle branding approach with a T-shirt from its Prolific line, a range of menswear that is “all about sleek sportswear and your not-so-basic essentials“. 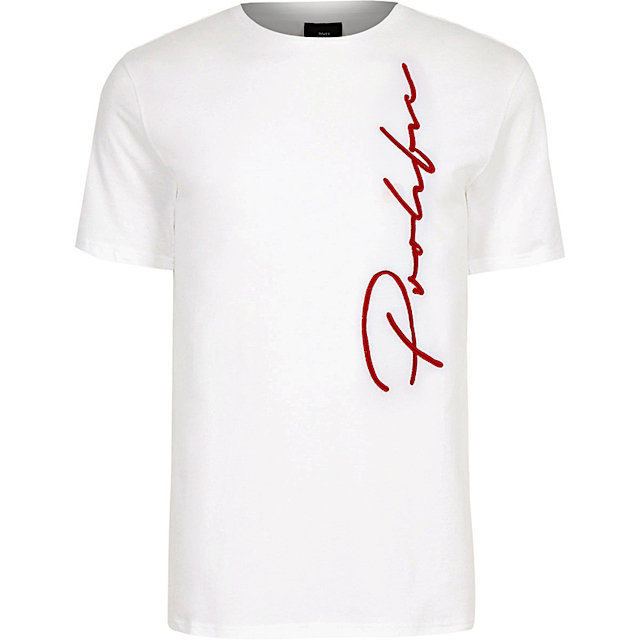 The logo is embroidered lengthways on one side of the tee – the unusual placement gives the T-shirt a contemporary look. 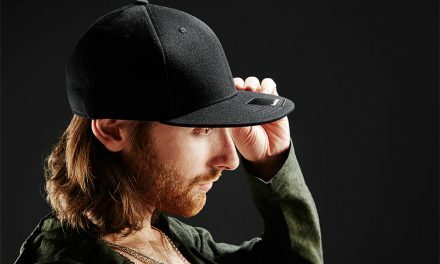 A good imprint pair is the Next Level Unisex Crew Neck T-Shirt (NX3600). 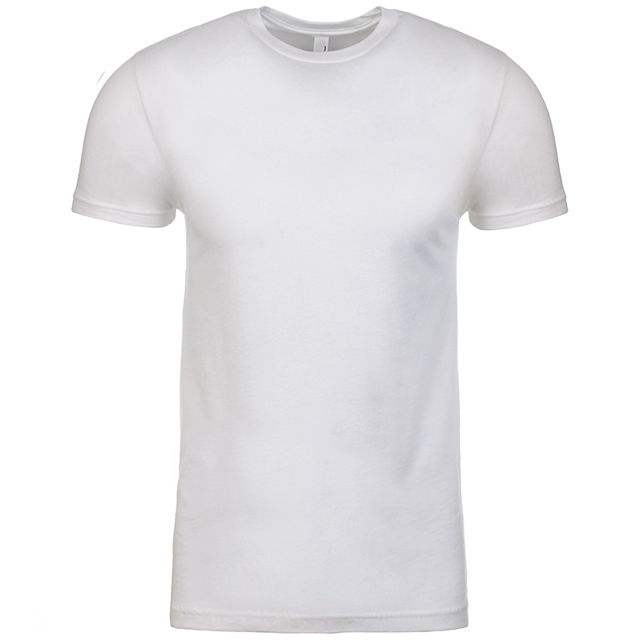 Available from PenCarrie, the 100% ringspun combed cotton T-shirt has taped neck and shoulders, and a tear-out label. 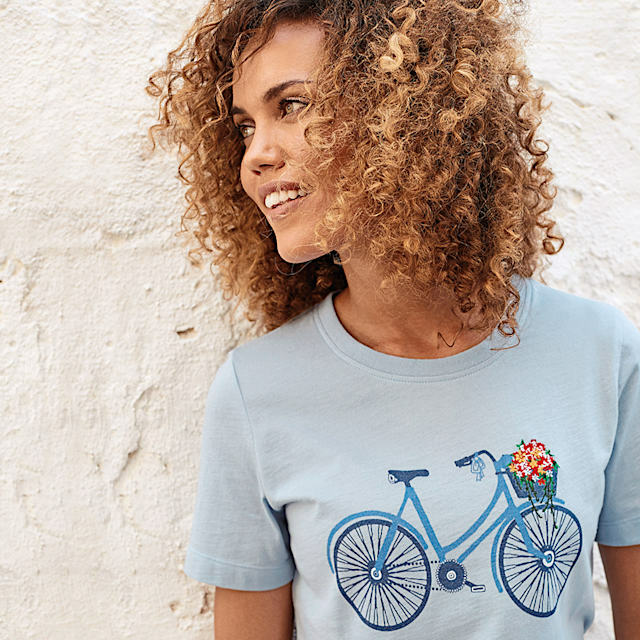 For women, the pale blue Cotton Trader T-shirt offers a pop of colour thanks to a bunch of embroidered flowers. 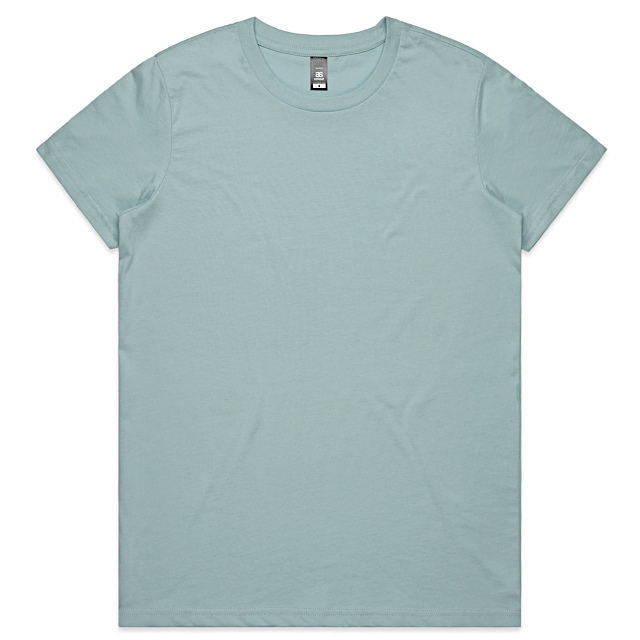 The mixed media style is easily matched by the Maple Tee (4001) from AS Colour, which is made from 180gsm, 100% combed cotton and has been preshrunk to minimise shrinkage. 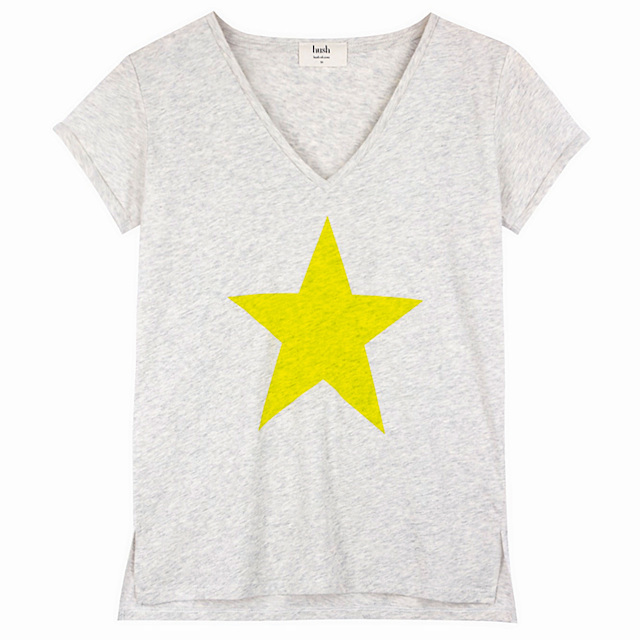 Hush offers a more relaxed, V-neck style with an over-sized “blazing yellow“ star print that the company says is “much loved“. 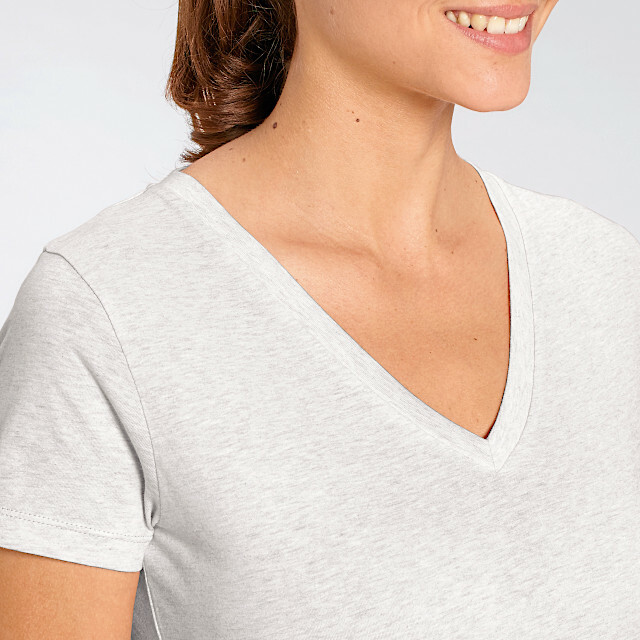 Those feeling inspired would do well to look at the new Stella Evoker (STTW023) V-neck T-shirt from Stanley/ Stella. Made from 120gsm, single jersey, 100% organic, ringspun combed cotton, this set-in sleeve garment comes in 15 shades including cream heather grey. 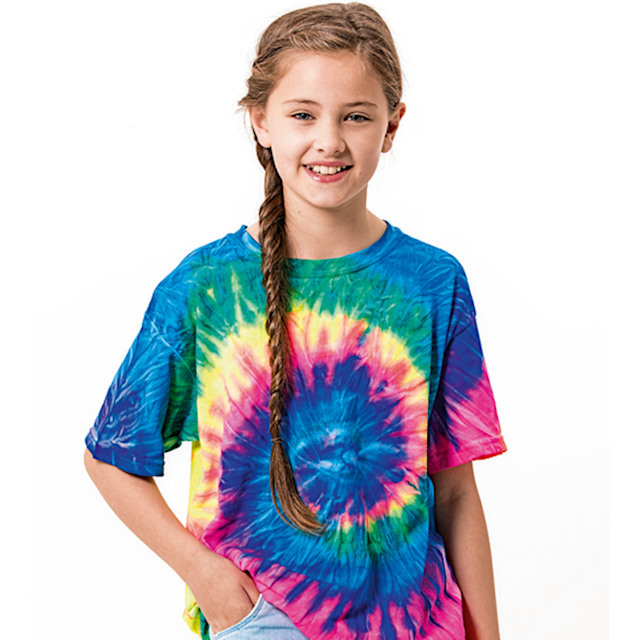 Tie-dye continues to dominate the market, particularly the youth styles. 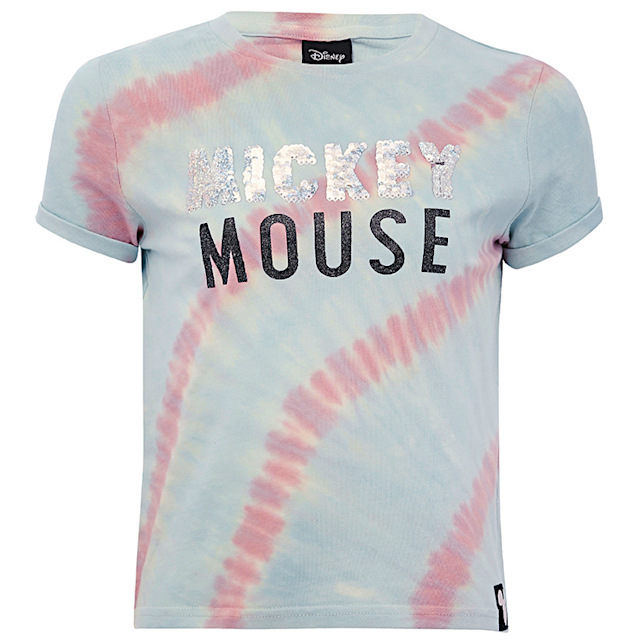 The Mickey Mouse, rainbow-dyed tee from M&Co features that other hot favourite, reversible sequins. To create your own combo of sparkle and bright colours, opt for the hand-dyed, 100% cotton Colortone Kids Tie-Dye T (TD002J) in neon rainbow as a starting point.